Home / News Release / Member News: Ace Parking launches fifth year for PARK FOR PINK campaign—and adds TEAL. Member News: Ace Parking launches fifth year for PARK FOR PINK campaign—and adds TEAL. San Diego, CA, September 1st, 2018 – Ace Parking’s award-winning PARK FOR PINK campaign kicks off its fifth consecutive year of raising awareness and generating funds to aid in the fight against cancer. This year, Ace is teaming up with the National Ovarian Cancer Coalition and the Ovarian Cancer Alliance in cities across America to help raise awareness and save lives. September is National Ovarian Cancer Month and October is National Breast Cancer Awareness Month. During these two months, Ace is turning pink for breast cancer awareness as in previous years, and also teal, to represent the addition of ovarian cancer awareness to this year’s campaign. To help raise awareness, Ace Parking teams across the country will participate in Ovarian Cancer Awareness events throughout September. In October, Ace will once again temporarily change many of its well-recognized parking lot signs to pink-colored PARK FOR PINK signage with a custom logo. Team members will wear pink wristbands with teal lettering to celebrate Ace Parking’s pledge. Additionally, the official Ace Parking website will have a custom design to support the cause. During the months of September and October, each time a customer parks with Ace Parking, a portion of our parking proceeds will be donated to the fight against ovarian cancer. For the last four years, the PARK FOR PINK program has generated over $250,000, which has been donated directly to organizations such as the Susan G. Komen® Foundation for breast cancer research, the Leukemia & Lymphoma Society to cure blood cancers, the American Cancer Society to help patients and their families, directly to oncology departments within hospitals, to the purchase of the da Vinci Xi robotic surgical system, and to other worthy organizations in their quest to find a cure and treat those who are challenged with the disease. Ace Parking received the International Parking Institute’s prestigious Parking Matters Award in recognition of the positive impact Ace is making in the global fight against cancer through the annual Park for Pink campaign. 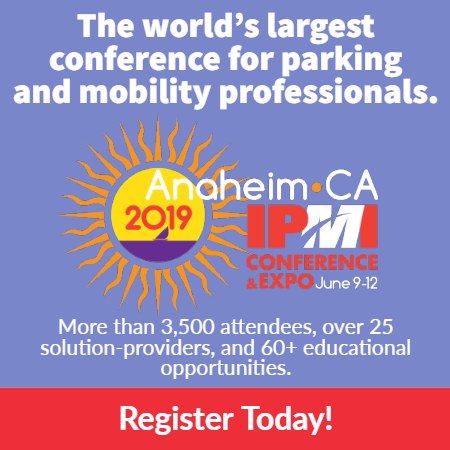 Ace Parking Management, Inc. (a California Corporation) was founded in 1950 and is one of the largest privately-held parking companies in the country. With over 65 years of history, Ace Parking continues to lead the industry with strict and attentive auditing procedures, superior levels of customer service and consistently increasing clients’ parking revenue objectives. Headquartered in San Diego, Ace Parking manages 750 locations coast-to-coast, servicing nearly 350,000 customers per day. For more information or interview requests, please contact Kristin Ludwick: 619-233-6624 or email: kristin_ludwick@aceparking.com.